Loving well is the most profound commitment of life. Measure your Life by how well you have loved. No matter how we try, none of us will ever have a perfect family. Most families are fraught with personality issues, immaturity, selfishness and baggage of unhealthy relationships from a past broken family heritage. No church, ministry, neighborhood holds perfect, always happy relationships, either. Because we are a part of these groups, we make them unstable because none of us is perfect. And often, we are most disappointed when we have conflict, fall-outs, and broken relationships with other believers. I wish I had known this earlier, as I was broken-hearted and disillusioned the first time we were involved in church where several created disharmony and separations with groups in the church. Yet, another aspect of growing in love is giving ourselves time and grace to grow. Most of us never knew how selfish we were until we got married and had children. All of us fall short, but all of us can mature. Learn every day to live more and more into the foundational love and unconditional grace of God and you will become a generous lover like Jesus is. It is best if we also know we will never be perfect in loving or in relationships. It will keep us humble, generous and make us more likely to forgive. Love is the food that fuels each of our lives with health, hope, and a sense of well-being. That is why is it most important that we learn to practice loving well, forgiving more each year and guarding our mouths so as not to create unnecessary conflict. Learning lots about the importance of loving well came through being a mama to children who were starving for it from the beginning. "Mama, you love me the most, right?" ....Our joke through all the years but repeated over and over again. "I love you the "Joyest" and you the "Nathanest" and you the "Sarahest" and you the "Joelest," my sweets. Seems that even now, I am often texting, emailing, fb'ing my kids how much I love them, how special they are to me, how much they are beloved by God. All of my children have gone through bouts of doubt when confronted by a constant barrage of challenges. All four have written notes to me to say our constant love is what pulled them through. "You always believed in us, you were always at our back. You never gave up!" A heritage of being loved and cherished is profoundly important in the life of any human being. Surrounded by people who care for their needs, commit to cherishing them from birth to death, wrapping them in the bonds of unconditional love is a legacy that will give them strength, hope and vision through the rest of their lives. It is something that cannot be bought or quantified or boxed. 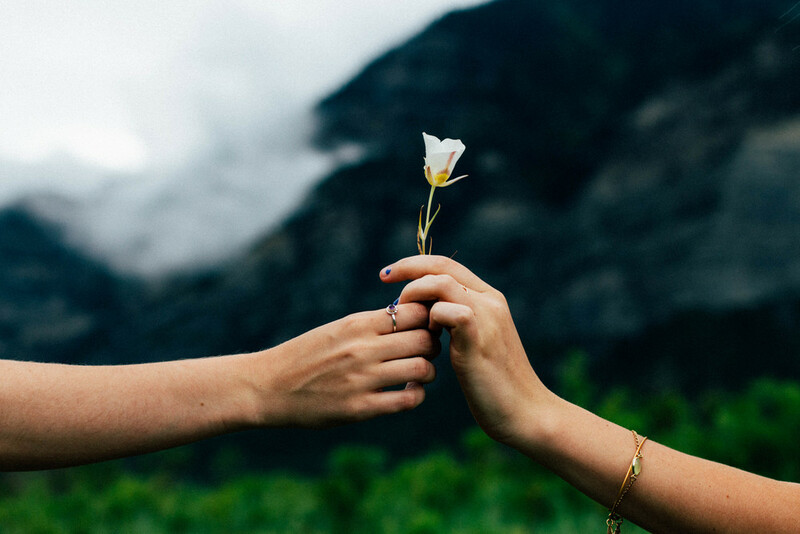 Love is a real, day in day out, giving of ourselves for the benefit of others God has placed in our lives--a giving of ourselves for the blessing of others. When we love and touch affectionately, it pre-disposes our children to remember the caresses and affection of love hidden in the pathways of their brains and will cause them to be more prone to believe in the love of God when they are teens and we tell them, again, that God loves them. When children are deprived of love as an infant, consequences to their health, emotional stability, understanding and perception of God, ability to hold relationships and even intelligence is effected the rest of their lives. Of course, Christ is able to redeem and restore all things. I know in my own life that restoration and healing are possible. But in this fallen world, the process of healing may take awhile. God created all of us with a deep need to be loved, and a capacity to love generously. Being loved perfectly was God's original design, it was born in His heart when he created us to know Him intimately. If I could point to one thing that truly had an impact in my children, it was giving them a foundation of unconditional love. Generous, overwhelming, words of affirmation, an expectation of forgiveness, acts of service, and many more gestures of love is what opened our children's hearts to listen to our messages about God. Loving our children and our friends as they are, appreciating the personality that God has given them, restoring them to generous love when they have failed, pouring out love even when they were at arm's length, focussing on love as the lens through which I looked at life as a mother, giving out words of love on a daily basis--sometimes many times a day, became the fuel for building a fire in their hearts to want to love God. Greater love has no one than this than a man lay down his life for his friend. The two greatest commandments are to love God and to love others. Love one another and so fulfill the law of Christ. They will know you are my disciples by your love for one another. So many times, parents are afraid that if they show their love for their children too much, they will spoil them. (I am not talking about enabling them by giving in to every whim, but real, unconditional, servant, mature love.) Has anyone ever loved you too much? Or do you wish for more love? it was at a college conference in Mexico my junior year, that a wonderful teacher personally explained to me, while focussing on my heart's cries for over an hour, that God truly loved me and that nothing would ever separate me from his love. This knowledge changed my life forever. Then I read and pondered and studied the life of Christ with His disciples. It was His love poured out, serving them and their families, living with them, giving them words of life; cooking for them, washing their feet, encouraging them, that so changed their lives that they were willing to give their lives for His cause. We as adults must understand that unconditional love, as shown by Christ, is the foundation to good relationships. But the place that our children learn this kind of mature love is by watching us practice loving them in our home. Many of you, never really understood or experienced love in this way while growing up and perhaps you carry unhealthy habits of relating to people in ways you learned in your home growing up. What I have found is that by receiving God's love by faith and then practicing it in my home with my family has stretched my ability to love, and it has changed my life. Reading books about relationship has given me tools to recognize what is healthy behavior and what is not (Boundaries and Safe People are two books by Cloud and Townsend that have helped me to recognize un-health in myself and in others.) Recognizing habits that do not build my relationships and learning to grow little by little has helped me move in the direction of strong friendships and stable family relationships. This has also helped me to understand and recognize unhealthy people that come into my life and to understand more about how to establish boundaries in ways that protect me from manipulative or broken people. This has become especially important to me in ministry, where I am interacting and committing to people all the time. But the love of God has slowly transformed my life over many years. In making loving well my goal, I have learned to love many people better and more effectively. It is a process of growth. In our own family devotional, The 24 Family Ways, we made love prominent in our training. Way # 5 WE LOVE ONE ANOTHER, TREATING EACH OTHER WITH KINDNESS, GENTLENESS AND RESPECT. If we understand the importance of building this foundation of loving our precious children and teaching them to love others, we will give them the power they need to build strong relationships, stay strong in marriage, learn to work in ministry and a profession well--in short, we will give them the ability to have a fuller, more fulfilling life. Loving my adult children is still just as important as when they were young. The world can be hostile to adults who seek to live morally excellent lives, and who attempt to live lives for the glory of God. And so even now, loving, listening, encouraging, supporting and giving my adult children a home where they will be circled in love and commitment of friendship is one of the pulls in their lives to uphold their ideals in a very challenging time. Love covers a multitude of sin. Love is a perfect bond of unity. So today, commit in your journal what it means to love to each of the precious ones entrusted into your hands and then begin by practicing love today. How do you show your children acts of love that penetrates their hearts? 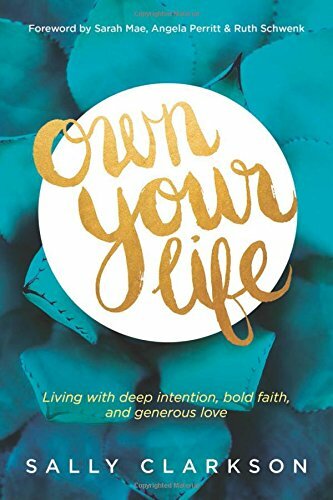 Don't forget to read the chapter in Own Your Life this week and answer the questions to apply more of what you are learning.